Turbo Pizza is rated 4.5 out of 5 by 24. Rated 5 out of 5 by moonshot from love Turbo Subs! Make it for Mac! I enjoyed Turbo Subs so much. I've played it a few times now and would love to Play Pizza and Fiesta! Rated 5 out of 5 by babykaccie0799 from good pizza game I LOVE TO COOK ON SOME GAMES AND FEED CUSTOMERS.ALSO LOVE TO IMPRESS MY BOSS IN THE GAME AND MY CUSTOMERS. Rated 5 out of 5 by Dakey666 from Amazing This game occupied me with hours of fun, such a great game, keeps you on your toes and all the upgrades help so much. Rated 5 out of 5 by princechewy01 from Lovin Turbo Pizza Love the cute story and the constant pressure. Great game for after a hard day at work. 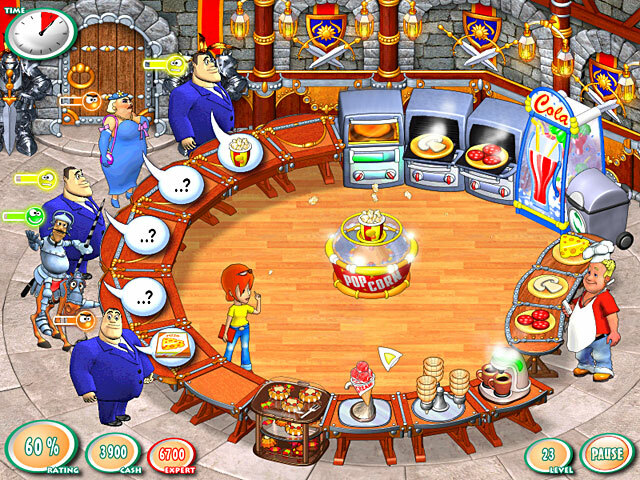 Rated 5 out of 5 by Martysgirl26 from Love all the "turbo" food games I love all the turbo food tm games. I wish they would make more of them. Rated 5 out of 5 by JibbyEllison from Turbo Pizza? 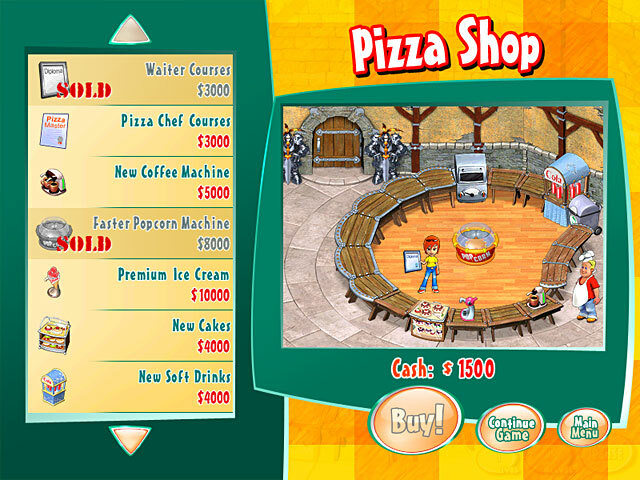 Turbo Pizza is a game where you take customers orders and give them what they want. 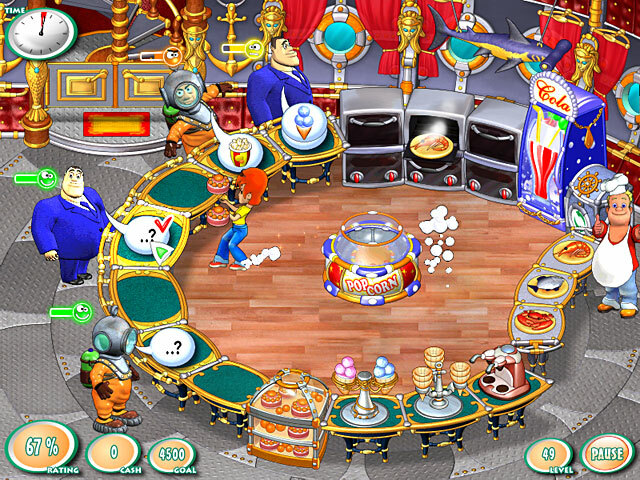 The customers have a range of pizza's, candy snacks and refreshments to chose from. With the money you make from serving customers belly's, you get to buy a number items for the shop or for the workers. The graphics are good, they dont include much detail but because of the simple graphics and bright colours you really get into this turbo pizza adventure. Now, the music, gets stuck in your head and after a while it gets annoying but I found that the music helped me keep concentration. 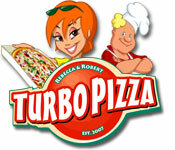 I love Turbo Pizza.